“Gramps” George Splinter and his wife befriended soldiers of the 100th Infantry Battalion who were training at Camp McCoy. The soldiers were warmly invited to their farm many times. 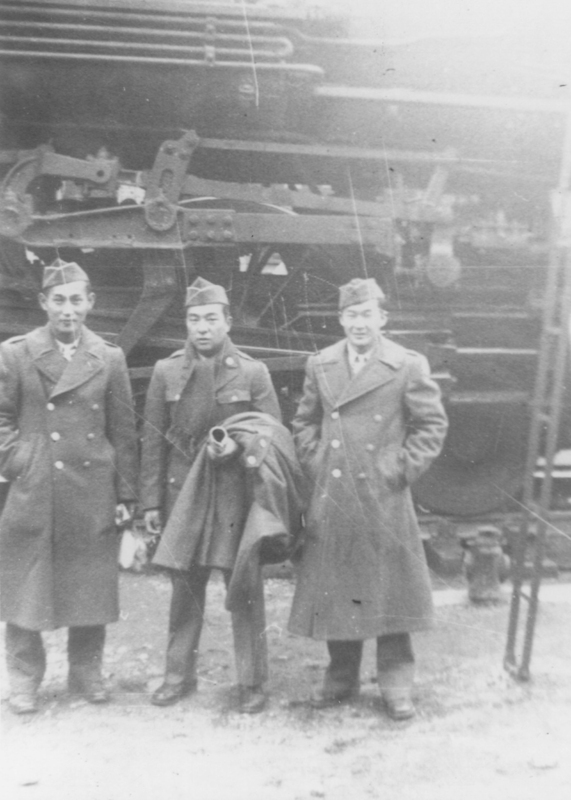 One of these men, Ukichi Wozumi of Honolulu, Hawaii kept photos of his November 25, 1942 visit. Decades later, Mr. Wozumi happened to visit a barbershop in the Kaimuki district of Honolulu. He noticed a painting on the wall signed by a George Splinter. 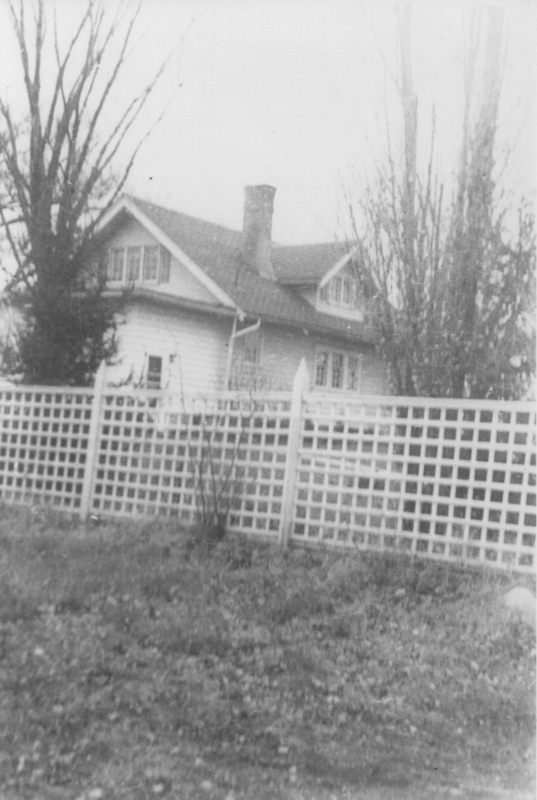 In the phone book he found a Splinter family living in Honolulu and in December 2011 wrote a letter to George Splinter III who was the grandson of the couple he had originally visited in 1942. Mr. Wozumi enclosed three photos, two of which were taken at the Splinters’ home in Madison. Almost two years later, two daughters of 100th veterans were taking Japanese folk dancing lessons at a Buddhist church in Honolulu. 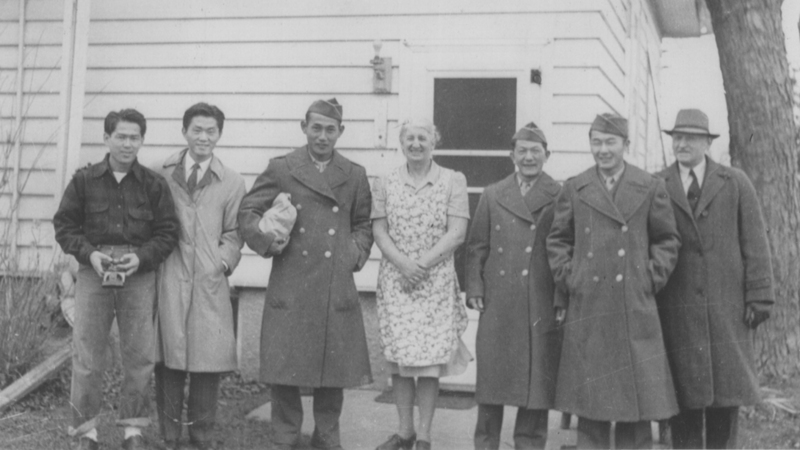 Janice, the daughter of Albert Yokoyama, noticed the name George Splinter on the nametag of a tall man. She approached him and asked if he was related to a George Splinter from Wisconsin. Her parents had been married on his farm. It turned out that this man was his grandfather. 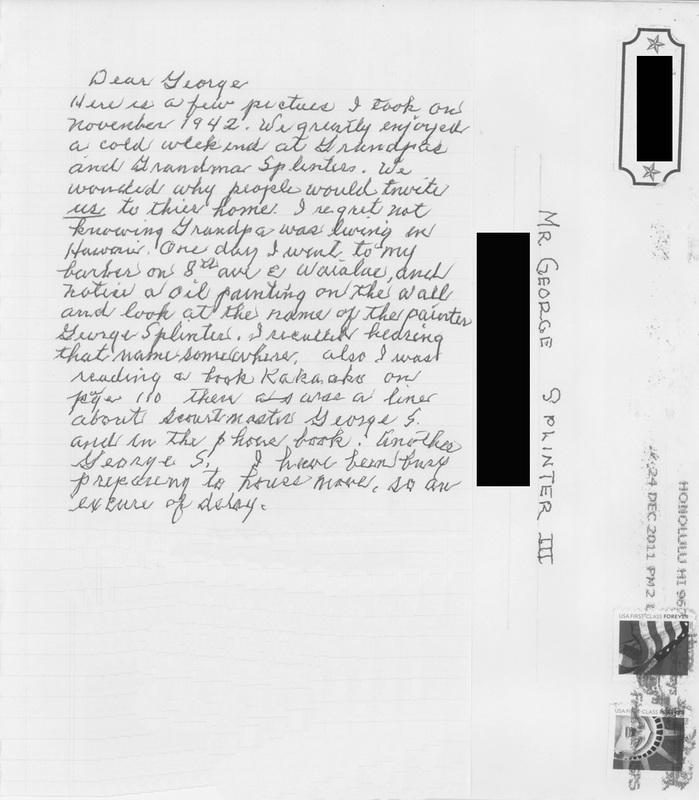 As they kept talking, George mentioned the letter and photos he had received from Mr. Wozumi. The next time he came to class, he gave them to Arlene, daughter of veteran Hideshi Niimi. He told them his father, George II, had married a Japanese American woman and moved to Honolulu. Although his grandfather was initially not happy about this marriage, he eventually moved to Honolulu to be near his one and only grandchild and among other things, took up oil painting. “Gramps” Splinter lived near the 8th Avenue barbershop and had given the owners the painting.